Abbey Road Studios gain Grade II listing protection | What Hi-Fi? EMI's Abbey Road studios have been given Grade II listed status, which should protect them from any plans to redevelop the historic site. Culture Minister Margaret Hodge yesterday accepted a recommendation from English Heritage that the studios should be listed, the Department of Culture, Media and Sport saying that "Abbey Road Studios are regarded as the earliest, as well as the best-known, purpose-built recording studios in the world. "The studios are listed primarily for their considerable cultural importance and their place in the history of popular music, as well as their importance as a notable manifestation of the fast-developing technology of sound recording." EMI says its historic Abbey Road Studios aren't for sale. In a statement the company said it was working with third parties on schemes to 'revitalise' the studios, but would not be selling. It says it rejected a £30m offer for the studios last year. The statement says that "In response to recent press speculation, EMI confirms that it is holding preliminary discussions for the revitalisation of Abbey Road with interested and appropriate third parties. "Abbey Road studios had, for a number of years, been losing money and we have developed plans to revitalise the studios. These plans would involve a substantial injection of new capital. Andrew Lloyd Webber has vowed to buy Abbey Road Studios from troubled record label EMI, which is believed to have already turned down an offer of £30m. Sir Paul McCartney is "desperate" for the building to remain a working recording studio. The National Trust also said it was interested in buying the studios. News reports this morning suggest that Lord Lloyd Webber will have to pay in excess of £30m to secure the site, but with an estimated fortune of £750m he could easily afford it. The National Trust has said it's considering a campaign to save Abbey Road Studios for the nation. The charity, which already has the childhood homes of Sir Paul McCartney and John Lennon among its properties, says "Abbey Road recording studios appear to be very dear to the nation's heart - to the extent that we will take soundings as to whether a campaign is desirable or even feasible". The renowned Abbey Road Studios in London, made famous by that Beatles' album cover, have apparently been put up for sale by owner EMI. The embattled record label is saddled with huge debts and its parent company, private equity group Terra Firma, hopes that selling the studios could raise tens of millions of pounds. EMI bought the studios in St John's Wood, north London, for £100,000 in 1929, transforming it into a world-famous facility that hosted artists such as Edward Elgar, Pink Floyd and Blur. 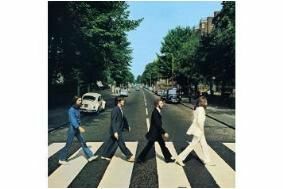 The Beatles used Abbey Road for most of their recordings, naming their final album after the studios in 1969. EMI, which includes Robbie Wiliams and Coldplay among its roster of artists, posted a £1.75bn loss for the year to March 2009 in accounts published earlier this month.